Selected for representation by YCAT in 2009, Philip is rapidly emerging as one of the most prominent young cellists from the UK. He has won 1st Prize in the 2008 International Johann Sebastian Bach Competition in Leipzig – the first ever British prize winner since the competition began in 1950 – and 1st Prize in the 7th 2009 International Lutoslawski Cello Competition in Warsaw, along with the prize for the best performance of Slawomir Kupczak’s Le Coucou, written for the Competition. This summer he gives recitals in Italy, at the Bachwoche in Ansbach, the Leipzig BachFest, Edinburgh Fringe Festival and the Rising Stars series in the Lake District Summer Music Festival. Born in Edinburgh in 1985, Philip studied at St Mary’s Music School in Edinburgh and at the Royal Northern College of Music with Emma Ferrand and Ralph Kirshbaum. He graduated in 2007 with First class Honours and was immediately selected for the new International Artist Diploma at the RNCM, aimed at developing and promoting outstanding young soloists of the college. During his studies he won numerous prizes and awards including the 2004 Frederick Phelps Solo Bach Competition in London, the Sir John Barbirolli Cello Prize and in 2008 received a silver medal from the Worshipful Company of Musicians. As a soloist Philip‘s recent work has included performances of Boccherini and Vivaldi Concertos with the Orchestra Camera Di Caserta in the Autunno Musicale Festival in Naples, Haydn’s Concerto in C with the Mendelssohn Kammerorchester in Leipzig and performances of the Finzi Concerto in Edinburgh and Elgar Concerto in London. 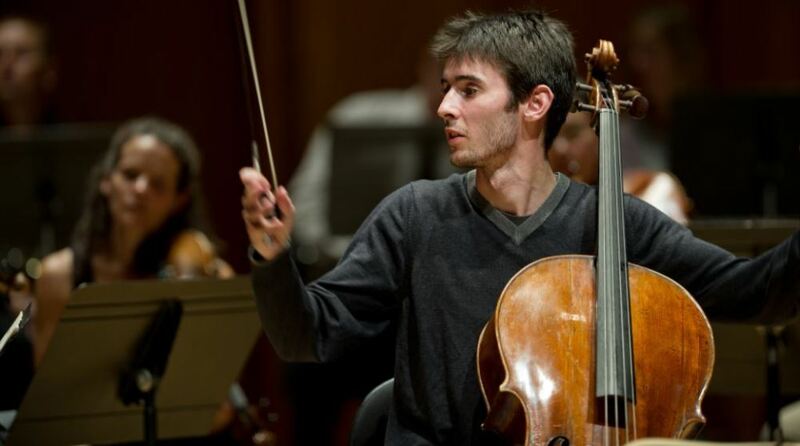 He has given recitals in the International Stichting Masterclass in Apeldoorn (The Netherlands), the Gioventù Musicale d’Italia, Victoria Arts Festival in Malta and appeared in the 2007 Manchester International Cello Festival. During 2007 and 2008 he was invited to the International Musicians’ Seminar in Prussia Cove where he studied with Ralph Kirshbaum and Míklos Pérenyi and participated in the Open Chamber Music. Future engagements include an appearance as soloist with the Warsaw Philharmonic Orchestra, recitals at Bridgewater Hall, Purcell Room, the Jacqueline du Pré Music Building, North Norfolk Music Festival and a tour throughout Scotland as a Tunnell Trust award winner. Further afield he returns to give concerts in Italy and Germany.